The untimely death of Pier Mario Vello has brought Sergio Urbani to the head of Italy’s Cariplo Foundation. While he has no intention of trying to fill the very considerable shoes of his illustrious predecessor, he has his own definite ideas about how the foundation’s work and image should be developed. Here he tells Caroline Hartnell about them. What you do see as most distinctive about the Cariplo Foundation and the way you work? We have very strong skills inside the fields that we are active in – which are scientific research, environment, welfare, and arts and culture – and we have a strategic view on what we do and we align grants and other philanthropic instruments with that view. So we are very opinionated, let’s say, and we try to create innovation in our fields of activity, combining strong skills with funding in order to achieve impact. For many years, you were CEO of the Social Housing Foundation, which started as a Cariplo pilot project. How different does the foundation look from the inside? I have always tried to think creatively about how to benefit the area where we work, and to think differently from most public and private bodies, which are more limited in what they can do – and this is what the Cariplo Foundation does. So I feel at home now. I think what I’ve brought from social housing is a business approach to philanthropic issues, a structured approach in terms of financial instruments, process management, and being focused on delivery. I would like to be more driven by achieving results. 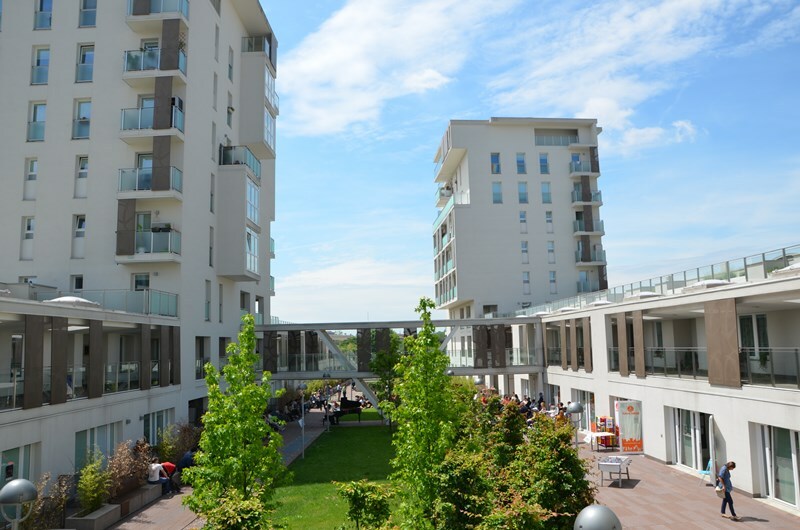 A social housing project in the Via Cenni district of Milan supported by the Cariplo Foundation. So in that way you’re a good successor to Pier Mario Vello because he also had a strong business approach to the foundation? Yes, but I don’t want to be compared with Pier Mario, because he did a great job and left a great heritage. I would like to start again where he unfortunately left off, and there is still a long way to go for me to be comparable with him. Are there areas of work you’d like to develop further over the years or that you’d even like to change? It is more an issue of working in a slightly different way. I would like our four areas of activity to blend a little bit and I would also like the grants to blend with our impact investing activity, looking for synergies. Your main way of working at the moment is through grantmaking, is that right? Yes. Currently, our grants account for approximately €150 million a year, and I would say our activity is 95 per cent grants and 5 per cent impact investing. If we develop impact investing, the scope of activity can be much wider as it goes beyond our granting capability. If we develop impact investing, the scope of activity can be much wider as it goes beyond our granting capability. So would you use your assets for impact investing? Yes, we have an allocation that accounts for approximately 7 per cent of our endowment which can be used for impact investing. But I must say that in Italy, information about impact investing is limited and research is not very robust. So first we must build a robust investment discipline, exit strategies, and agreements that work, and then we can think of large-scale impact investing activity. But potentially it’s a big increase in activity? It’s a big increase and I would say a very big extension of our role, because grantmaking is very different from impact investing. You’re mainly a grantmaking foundation, not an operating one, but you also have your own projects, don’t you? Yes. Typically, we send out requests for proposals from non-profit organizations, but from time to time we undertake direct projects with partners on more specific and focused activities, for example on youth employment, or on creating a space for cultural and performing arts activities. This accounts for maybe 5 per cent of our grantmaking activity. How do you see the role of foundations as an agent of change? I think it’s a crucial one; we have a unique position to leverage. Public bodies must have general purpose activity. They have to address all issues and today they have limited financial resources as well, so it may be difficult for them to focus on a specific topic. In the for-profit private sector, on the other hand, everybody is short-sighted because they look for results quarterly and they have to bring in innovation only in as far as it is good for their balance sheet. We’re different. We’re not public, we’re not private for-profit, we are private not-for-profit. We have a long horizon so we can really focus on innovation for the sake of the good of our community. We have to leverage that position in order to make people more aware of our role. 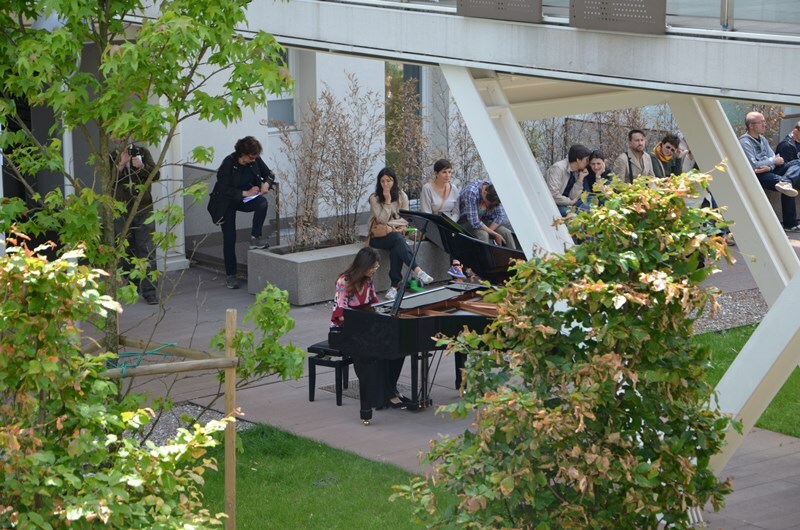 ‘Piano City’ was a one-day event organized at the Via Cenni social housing project. The Cariplo Foundation has been the main kickstarter of community foundations in Italy. What’s your relationship with the community foundation movement now? Community foundations are very relevant to our future because they are a way of dealing with the kind of things that we, as a wide regional foundation, cannot. They can stay very close to volunteers, to local projects. The issue is how to deal with them. If we push for really independent foundations, which is good, then they also become independent from us, which may mean we lose some scope for synergies. We need to find a way of developing those synergies, shared tools, shared strategic visions in order to have a common store that everyone can draw on, on an independent and individual basis. For example, in communicating identity, activity, our relationship with the media, we can use shared tools, because single foundations often don’t have the resources to do that. I know that the Cariplo Foundation has been quite involved in consultations about the Sustainable Development Goals (SDGs). How relevant do you see these to Cariplo’s own work? We have to deal with the issue of sustainability in all our projects, in particular in international projects, where often, together with other foundations, we are trying to tackle problems in developing countries. What about meeting the SDGs inside Italy? Take the environment for example. We work on transportation, so meeting the goals would mean things like promoting the use of bikes and non-fossil fuel means of transport. But for me it’s more important to think in terms of our overall activity, circular thinking or recycling, being able to do something that at a certain point can start again. The same with financing. I make an investment, I have a certain return which is sustainable for everybody, then I exit and somebody can enter the investment in my place, then they start again and so on … So we must leave things the same way as we found them, or even better if possible. Can I ask you about your support of La Scala opera house, which some people would see as a very elitist institution. What are your feelings about that? Ultimately, we are a sort of community foundation, too, in the sense that we belong to a region. This region has some jewels and La Scala is one of them – the castle of Milan is another – and these must be maintained. This region has some jewels and La Scala is one of them – the castle of Milan is another – and these must be maintained. Our contribution is less than 5 per cent of the funding they receive, and obviously we can review that, but this type of art, in the end, needs to be subsidized and we cannot put under discussion our commitment to help such a precious and historical institution. I understand your assets are around €7 billion and your grantmaking is about €150 million, which I think is about a 2 per cent payout. Do you think that is high enough? In the USA, they have a 5 per cent payout requirement – which we don’t have in Europe. We believe that the endowment is an endowment for the region, for us and for future generations, so we make our calculations based on a sustainable rate of grantmaking that will not reduce the level of the endowment. The return on the endowment is around 5 per cent per year, but you have also to take into account the inflation rate, because you have to preserve the endowment in real terms, not in nominal terms, for the sake of future generations. So it’s a choice. Do you have a remit for the rest of Italy? Yes, banking foundations like us don’t cover all of Italy. We have the central and northern parts well covered, but not the southern parts, so a group of foundations jointly set up the Fondazione con il Sud, or Foundation for the South. This is working very well and at the moment has an endowment of €400 million, so there is a sort of solidarity with those areas that are not able to build endowments. What would you most like to achieve as secretary general of the Cariplo Foundation? I would like most for our region to be aware that our foundation is ‘their’ foundation. We are an instrument for people living in Lombardy, taking care of their future welfare where we can. Obviously our resources cannot really solve their problems but we can bring something additional to help our communities tackle these problems. Their awareness of us is not so high – at the EFC conference I heard this is a problem for many foundations. I would like to increase that, because if the region lacks this sense of ownership of the foundation, we are missing something. 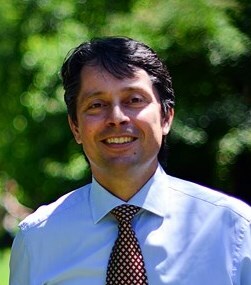 Sergio Urbani has been secretary general of the Cariplo Foundation since January 2015. He was director and CEO of the newly formed Social Housing Foundation from 2004 to June 2012. From June 2012, he was deputy general manager of CDP Investments Sgr.